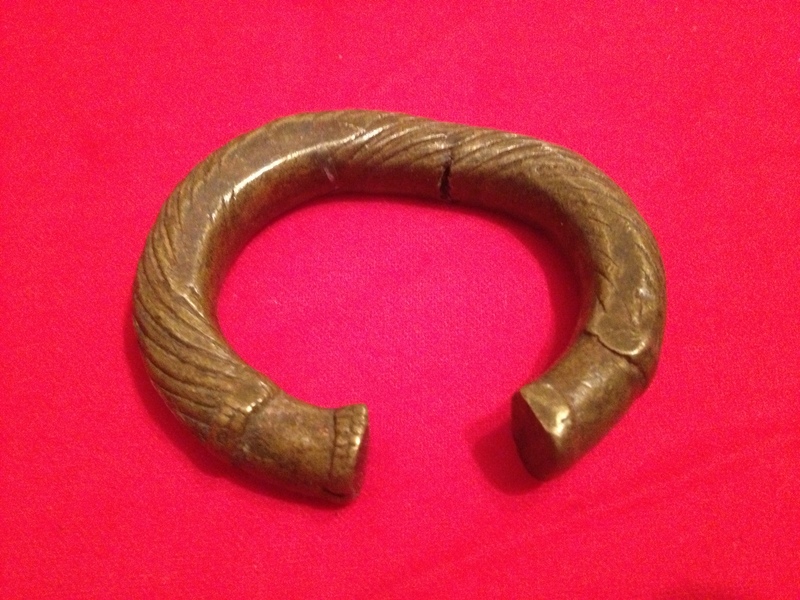 While vacationing in Savannah Georgia, my wife and I went into an Antique shop and found this brass slave bracelet. I Talked to the owner of the bracelet, and he said that it’s origins are there in Savannah. It weighs over a pound. You can see all of the wear on the sides, and notice the crack in the middle of it, that looks like it could have been made while trying to open it up wider. This is just one of many types of slave bracelets known.